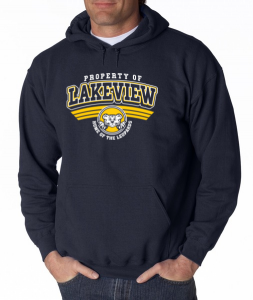 Lakeview Spiritwear is on sale now through October 1, 2018. This is the only sale date for this year. Fill out and send in the paper order form sent home the first week of school. NOTE: please do not submit a paper form if you order online. Feel free to share the online order link with family and friends or anyone who would like to help support Lakeview Elementary and show their Leopard Spirit. The sale will close on Monday, October 1, 2018. Once the sale ends, it’s over and you will NOT be able to order again this year.